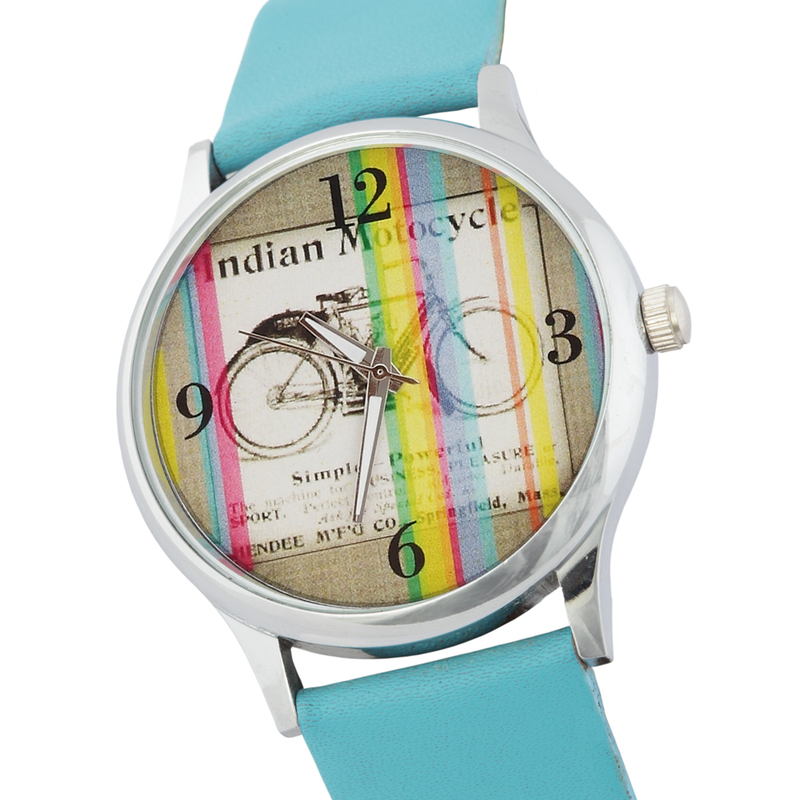 This wristwatch will take you on an enjoyable ride with its bicycle image. Dont forget to get home on time! 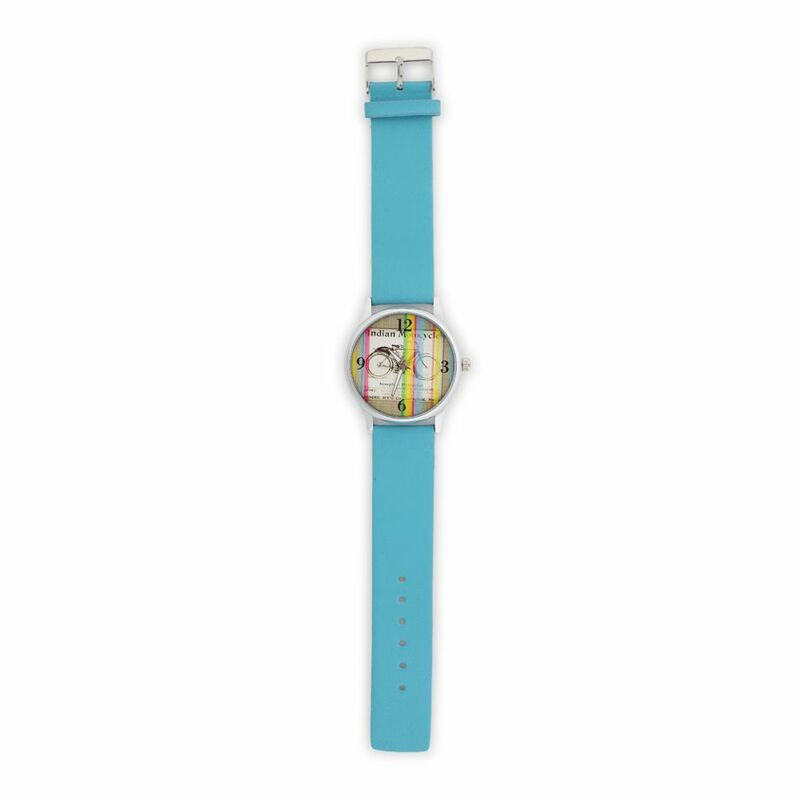 The watch has a metal rim and a blue leather strap.